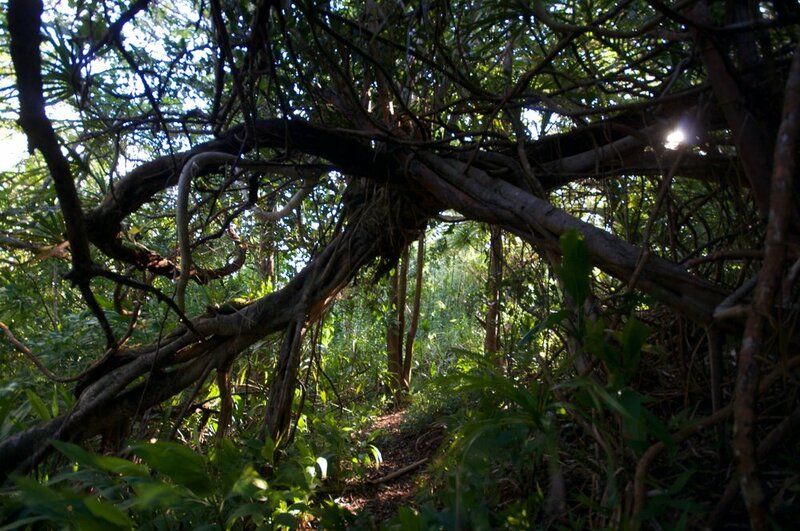 What to expect: Short hike up Koolau ridgeline to a natural hole or "Puka" in the mountain. The Pali Puka is on top of Northwest ridge of Nuuanu valley. Trail begins north of the Pali Lookout parking lot behind the Do not enter sign. Follow the trail and orange ribbons up the ridgeline to the top. At the top you will find the Puka and beautiful views of the surrounding Nuuanu Valley and the East side. If you are not comfortable being inches away from a 2000ft vertical cliff, this is not the hike for you.